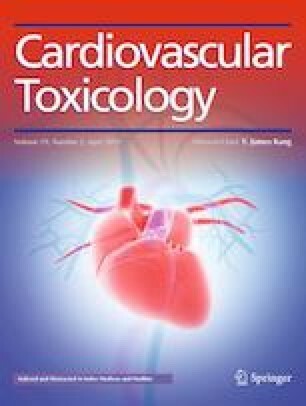 The clinical use of antineoplastic agent doxorubicin (DOX) is limited due to its cardiotoxic action. [βAla14, His15]-galanine (2–15) (G) is a novel synthetic agonist of galanin receptors GalR1-3 having cardioprotective properties in animal models in vivo. The aim of the present study was to explore effects of G on DOX-induced cardiotoxicity. Wistar rats were divided into four groups and treated with DOX (D group), DOX and G (D + G group), G (G group), and saline (control). Before treatment and at the end of the study, concentration of thiobarbituric acid reactive substances (TBARS) and activity of creatine kinase-MB (CK-MB) were determined in blood plasma, the animals were weighed, and cardiac function was evaluated by echocardiography. At the end of experiments, the hearts were used to determine energy metabolites and mitochondrial respiration in permeabilized fibers. After an 8-week study, D group exhibited a pronounced cardiac failure, the absence of weight gain, an increased plasma TBARS concentration, and CK-MB activity. These disorders were accompanied by a reduced myocardial content of high-energy phosphates and mitochondrial respiratory parameters. Co-administration of G with DOX significantly decreased plasma TBARS level and prevented an increase in plasma CK-MB activity. In D + G group, myocardial contents of ATP, PCr, total adenine nucleotides, and total creatine as well as myocardial PCr/ATP ratio and the respiratory control index were higher than in D group at the end of the experiments. Peptide G significantly improved parameters of left ventricular (LV) function and caused weight gain in animals of D + G group. These results suggest that peptide G may be a potential pharmacological agent that attenuates the cardiotoxic effects of DOX. The authors are grateful to Dr. A. Prosvirnin for carrying out echocardiography studies and processing the results. This study was supported by the Russian Foundation for Basic Research (Grant No. 18-015-00008). All applicable international and national guidelines for the care and use of animals were followed. The experiments with animals were approved by the Bioethical Committee for Animal Care of National Medical Research Center for Cardiology (Permission No. 12 of 19 September 2017).